It’s a rare man who becomes a master in two fields as disparate as music and carpentry. Music is an art involving the rhythms of the soul, and carpentry is a craft that taxes the muscles and sinews of the body. But Englewood resident Gary Dilley has found a way to blend them in a lifelong career–or perhaps you could call it two or three careers. He was born in Indianapolis in 1952, the eldest of seven children of Raymond and Shirley Dilley, and the family moved to a small town near Ft. Wayne shortly after that. His father was a carpenter and his mom a homemaker. But with a burgeoning brood of young’uns, Mom needed some help around the house, and that fell to Gary. “I was their caretaker,” he recalls. He helped out his Dad as well, and he learned a lot about carpentry from him. “By the time I was 16,” he says, “I was doing layout work for framing projects. After my sophomore year in high school, I left school to go to work full-time for him.” Gary refined his skills and knowledge enough to eventually go into the carpentry business on his own, both in Indiana and in Florida, and stayed at it for 50 years. Gary worked in home construction and renovation when he got here, including some nine years on Palm Island. He’s retired now, but he still sings and plays the guitar for paying audiences in the area–solo, rather than with a backup band. You can listen in on the first Wednesday of every month at Farlow’s on the Water. He also plays locally at the End Zone, Waves and Paradise Grill in Nokomis, and he’s been front and center at some 14 other area hotspots. But he didn’t. 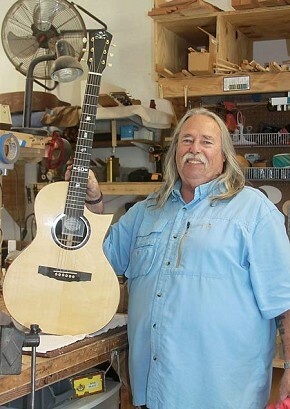 Instead he formed Dilley Guitar Company, maker of fine custom-made stringed instruments, an entity in which he hoped his two sons, James and Jerry, would join him. They didn’t–each has his own separate interests, though they lend support to his efforts and he has taught them how to build guitars. He fashions his instruments, each one a carefully crafted product, in a workshop that resembles an assembly line. But this is not a mass production factory; it’s more nearly an artist’s workshop. 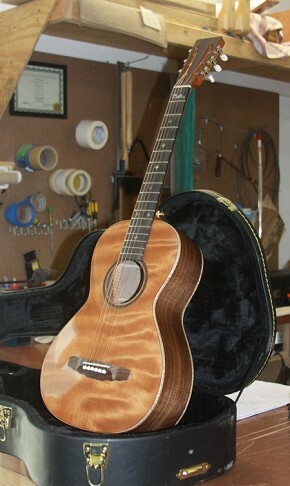 Only about two or three guitars are in the process of being made at any one time. Dilley guitars sell at price range of $2,600 to $3,800, depending upon the features a customer wants. “Right now about 80 percent of my business is in repair of guitars and other stringed instruments,” he says. But he’s building his customer list for custom-made guitars by taking part in local area fairs and art shows, and through word-of-mouth referrals from satisfied customers. It’s fair to say that if you get to see one of his finely crafted instruments at one of these events, you’ll agree that “It’s a Dilley!” Or you can listen to him play a Dilley at a local restaurant or nightery and know you’re hearing a master of his craft. Dean Laux is exploring interesting folks living in our community. If you know of anyone with an interesting background please send an email to: tomnewton@englewodreview.com. 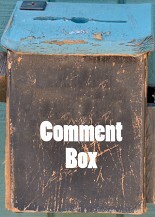 Include the person’s name, contact info and give a brief description of the person's background.